North Halifax Star 2018: Contribution to Children and Young People – WINNER ANNOUNCED! Project_Twelve:31 was set up in 2016 in order to engage with young people highlighted through successful partnership working and positive engagement with youths alongside West Yorkshire Police and West Yorkshire Fire & Rescue Service partners. After the projects initial summer program it was felt that the good work and positive impact it was having on the community needed to continue after it was evidently making inroads with some of the most challenging young people. In 2017 the project felt that further work was needed to positively engage more young women into activities in order to address negative behaviour and improve health and wellbeing but most importantly to deliver partnership youth provision that met the needs of the community and that young people want to participate positively in such work. Since it formed, the girls group has had the opportunity to be involved in various events including the 2017 NHX & Our Communities Awards, various events across North Halifax as well as a Trip to London in October 2017 with The Ovenden CAP project to raise awareness around challenge 25 and underage drinking. 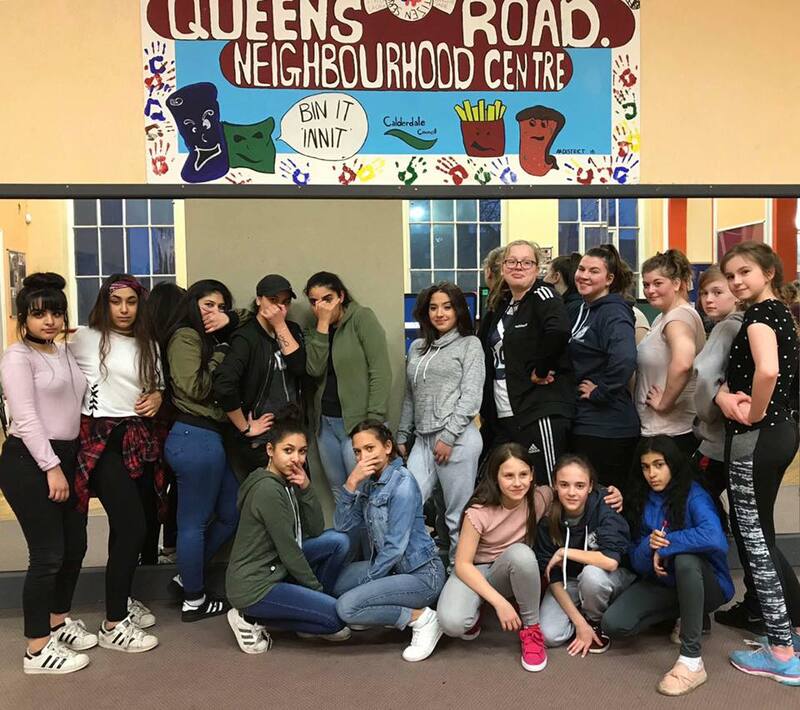 The girls are currently working on a Stronger Communities project that looks at challenging everyday discrimination towards women & girls with other projects including cohesion work alongside Queens Road Neighbourhood Centre looking at various cultures and dance. The girls have supported two charity football matches between Ovenden Phoenix FC and Andy’s man club promoting the #ITSOKAYTOTALK campaign and last year they also took part in the 5k Pretty Mudder Race for Life in support of McMillan Cancer. The project runs a variety of activities to help the girls develop and address issues that may affect their everyday lives in a safe controlled environment using techniques from the #ITSOKAYTOTALK campaign to reduce stress and mental health. The Project_Twelve:31 Girls Group is made up of very proactive young women who want to make a massive difference to the local community that they live in and are truly deserving for their long term commitment to the ongoing project. ← North Halifax Star 2018: Good Neighbour Award – WINNER ANNOUNCED!